Fruit-trees plural, well I’m covered! The area space of my orchard is 15m x 2m for those 6 trees. On the ground is grass/weeds, I have a mixture of buffalo, Kikuyu and assorted weeds depending on the season. 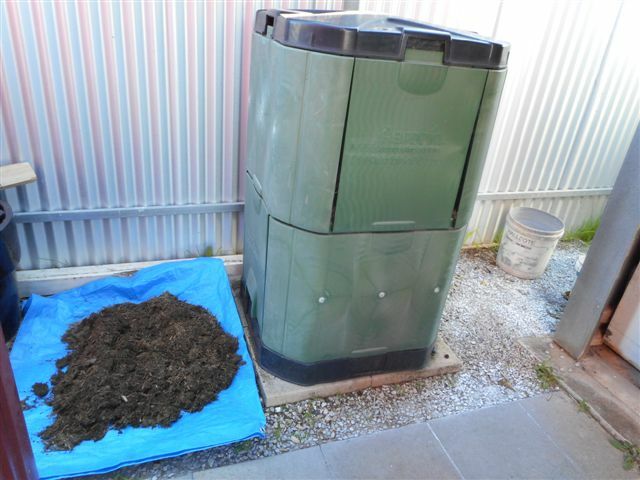 I have been looking for alternatives for ground covers, getting rid of the grass and sheeting with cardboard then mulching was the best idea I found but the feedback was the weeds still grow through. I have decided to keep the grass and will keep it well mowed and I have mulched under 1 nectarine as it’s hard to mow under there. I have been happy with the shape of my trees, vase like, I don’t think I have pruned hard enough in the past and this year my fruiting wood stock was going to be out of my reach. This was the weekend to do the big prune and sacrifice lots of fruit for hopefully more available fruit I can reach. 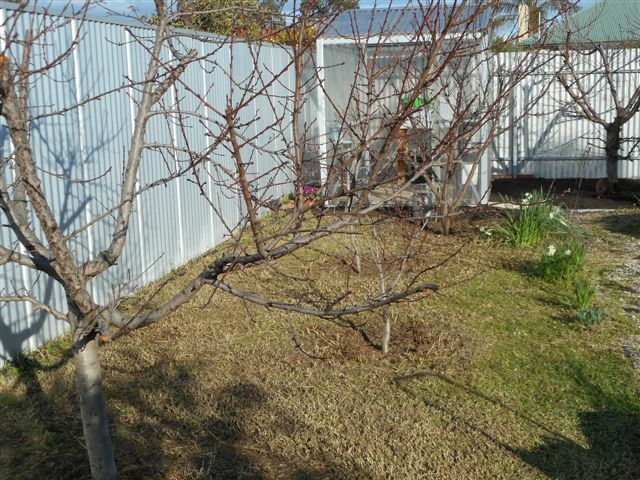 It took 2 days to tidy up the orchard, I did the prune and have a HUGE amount of wood to mulch/chip. 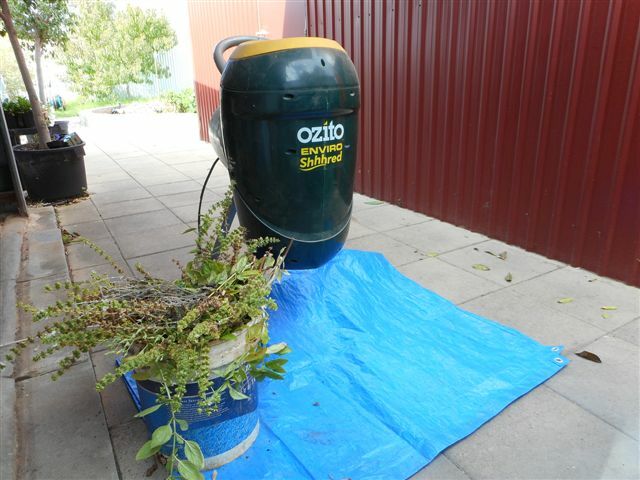 I did a spray with Eco-oil as I could see scale on some branches and will do 2 sprays of Kocide – a copper spray,1 before bud burst and another just after to help protect from fungal diseases including black spot, leaf curl, blight and bacterial rot. My weekend was a success, I got everything finished outside that I wanted to and will leave inside chores to later! Hope you got a few things done outside this weekend as well.